Our team at Alan Cooke Estate Agents are proud to offer a complete tenant search and property management service to look after your portfolio. We let and manage properties across North Leeds and its surrounding areas. Whether you are letting your home for the first time, or are an experienced investor, your property is in safe hands with Alan Cooke Estate Agents. Our staff are ARLA qualified, highly knowledgeable and genuinely care about giving a professional, personal and trustworthy service. Our professional association with ARLA and The Property Ombudsman means that we follow a code of practice in all aspects of our business - giving Landlords and tenants the peace of mind that they are dealing with a regulated and professional letting agent. Our ARLA membership means that we follow Industry-acclaimed Codes of Practice and have regulated accounting practices. 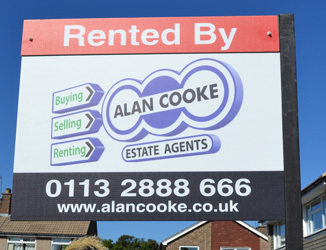 Alan Cooke Estate Agents have been delivering professional property services since 1964. Our knowledge of the North Leeds housing market is unmatched by any other agent. By seeking tenants through established national internet portals such as Rightmove and OnTheMarket.com, we can ensure the maximum coverage for your property. Our staff have all been trained to high standards and are dedicated on delivering a quality professional service. As a registered SAFE AGENT, you can be assured that any monies handled by Alan Cooke Estate Agents are protected. As the market does not sleep over the weekends, neither do we. We are open 7 days a week to ensure that our clients and tenants are always able to contact us. 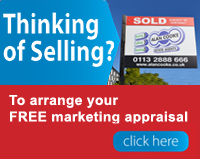 As an independently run business, Alan Cooke Estate Agents set their fees on a competitive basis, meaning that our fee to you will be tailored to your needs. Our office at Moortown is on the busiest shopping parade in the heart of North Leeds and allows us to easily service the entire area. After consultations with landlords who primarily deal with young professionals, Let Alliance has drawn together their established expertise alongside the needs of landlords to create an exclusive insurance policy. Their comprehensive and competitively priced policy has been specifically designed for the specialist landlords' needs as well as offering a monthly premium option. Let Alliance have created a comprehensive tenants' contents insurance policy specifically for tenants to cover rental property insurance requirements. Let Alliance have created a comprehensive tenants contents insurance policy specifically for tenants to cover rental property insurance requirements.